Explanation: Swinging around the lunar nearside on August 21, the Lunar Reconnaissance Orbiter turned to look back on a bright, Full Earth. 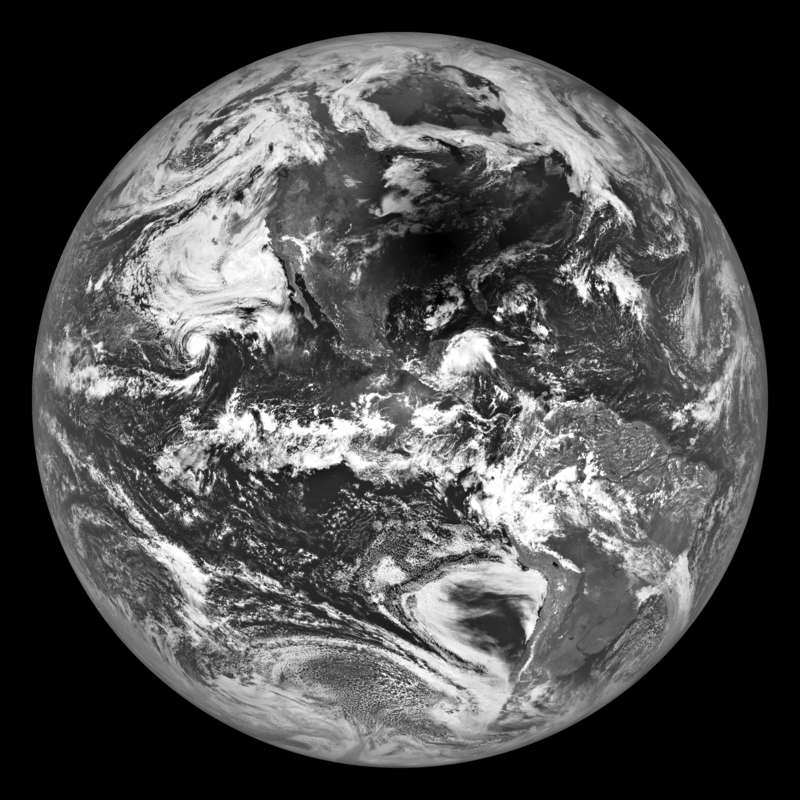 As anticipated its Narrow Angle Camera scanned this sharp view of our fair planet, catching the shadow of the Moon racing along a path across the United States at about 1,500 miles per hour. In fact, the dark lunar shadow is centered over Hopkinsville, Kentucky at 1:25:30pm Central Daylight Time. From there, the New Moon blocked the Sun high in clear skies for about 2 minutes and 40 seconds in a total solar eclipse.